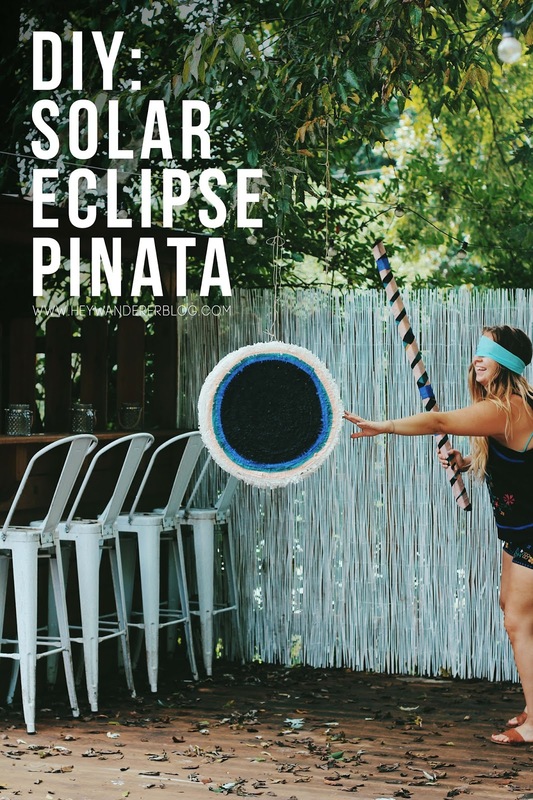 We are all about having a theme with every party we have, so as soon as I knew we were having a solar eclipse party, I knew we needed to have a piñata. With the solar eclipse happening, it's just already a built in party theme. And let's get one thing straight, this piñata is totally for adults. We will probably stuff it with a mix of candy and mini liquor bottles because adult piñatas should contain things adults want. We will see. I'm going to try to organize my thoughts about this into some sort of instruction that makes sense. Let's do this! 1. 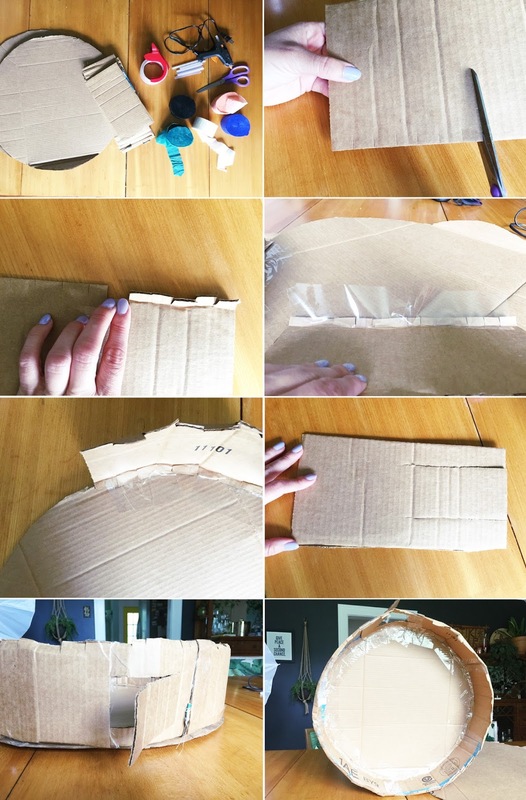 Cut two cardboard circles in the size you want, just make sure they are the same. 2. 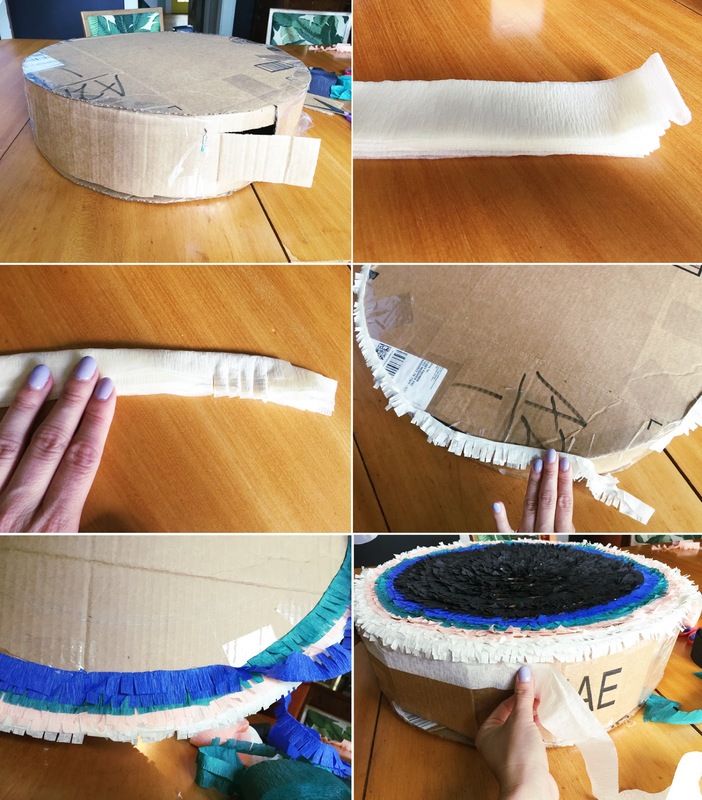 Choose how wide you want the piñata to be and cut cardboard strips to be that wide. Ours is about 4 inches, which is how wide the flaps on a lot of our boxes already were. 3. Cut notches along the long edge of your strips and fold the edges down. 4. Tape the folded edges down facing inward to the edge of one of the circles. 5. Cut a flap into one of your strips so you will be able to put candy and things inside the piñata. You want the strip to be longer than the hole so it doesn't easily fall into the piñata. 6. Tape the second circle down on top of the other side of your edges and make sire everything is taped securely. 7. Cut streamers into a manageable length and fold in half. 8. Cut fringe into the streamers. I could cut through about 8 folded pieces at a time. 9. Hot glue the folded side of an individual streamer around the border and then repeat over and over again making your way inward. You will need to overlap the streamer a good bit. You just need to be able to see the underneath color a little. To get the solar eclipse effect, use colors that fade lighter to darker. You could use red, yellow and blue or even just one color between the black and white. 10. Cut two slits near each other to thread a string through to be able to hang the piñata. If you squint/blur your eyes a little this will look a little like what we will be looking at in the sky in a few days (minus the darkness). Well, I don't know about you, but I can't wait to use this at our party on Monday. I even covered a little piece of wood with some streamers to match, but you could use a bat or dowel. Let us know if you decide to make one yourself. 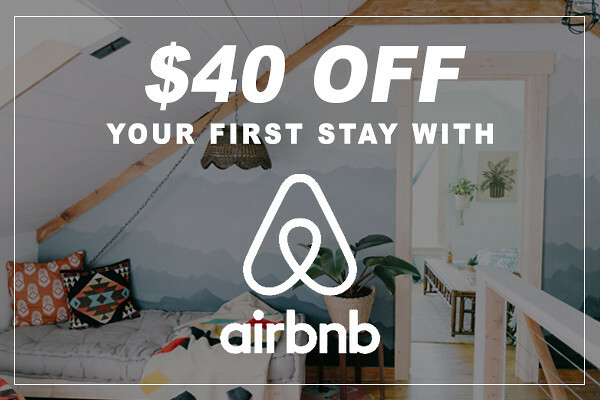 And if you like this post, please share with your friends on Facebook! The idea of having a solar eclipse theme-based party is pretty, unique and marvelous. These are the best tips to make pinata in papercheap house. I have already managed it to build a pinata in mu house with the help of your tips.